Look to the home front to protect your assets. The only "surefire" tax shelters remaining are deductions such as your mortgage and donations to charity. 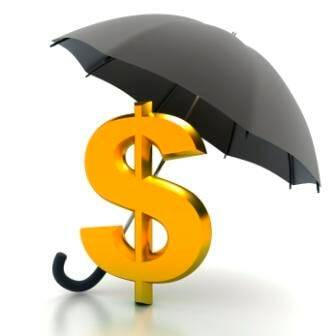 Once upon a time, in an era of prosperity, wealthy Americans could hide some of their assets in complicated, ingenious financial structures called tax shelters, which enabled them to avoid paying taxes on major portions of their income. Some devices for hiding wealth, such as overseas accounts, still exist. Most domestic tax shelters, however, have been shut down by Congress, the Internal Revenue Service and the courts. A few basic, legitimate devices to lower your tax bill still exist. Some—a mortgage, for example—are much closer to home than the intricate schemes of a few decades ago. “By and large, really anytime you get a deduction or credit, it is sheltering you from some tax,” said Jerome Borison, an associate professor at the University of Denver’s Sturm College of Law. You don’t have to risk fines or—as in the most extreme cases—jail time to keep a bit more of your hard-earned income, said Barbara Weltman, author of “J.K. Lasser’s 1001 Deductions and Tax Breaks 2017.” You must take care, however, to avoid the “too good to be true” deals. "By and large, really anytime you get a deduction or credit it is sheltering you from some tax." Borison described one scheme involving paintings. It could return $35,000 in tax savings on a $10,000 investment. Another involved Italian B-movies. In both cases and in many others like them the investors had no plan to make any money on the project other than the tax savings, which could be enormous. Then came the Tax Reform Act, and that market collapsed—at least from a legal point of view. “Even sophisticated taxpayers today are pretty much in a mine field if they try to follow the advice of these promoters who come up with these tremendously clever (schemes),” Borison said. The promotions may be clever, he said, but they usually don’t work. “The courts have taken a pretty hard line over the last 10 or 15 years when it comes to tax shelters,” he continued. The people involved often have to pay interest and penalties, he said, and the courts are “not kind” about working out settlements. In addition to teaching tax law at Sturm, Borison does outside tax work, often for people involved in risky schemes. He said there is usually little he can do to help them. “These clients have had very little luck in being able to support the deductions they take on their return,” he said. Wealthy people still sometimes shelter money by depositing it in offshore banks in places such as the Cayman Islands and Switzerland, which have lax tax laws, Borison said. Though not “tax shelters” in the strictest sense, many tax deductions can save you substantial money on your taxes, by decreasing the amount of your income that is taxable. The first example noted by Borison and Weltman is the home mortgage, which Weltman called the “No. 1 tax shelter.” You may deduct the mortgage interest and property taxes. If you sell the home, there are no taxes on profits of up to $250,000—or even as much as $500,000 for couples filing jointly—as long as you meet certain conditions, Weltman said. Among other legitimate shelters are charitable donations; contributions to 529 savings plans for college costs, which are sometimes deductible at the state level; and certain state and local municipal bonds, some of which are not included in income on both state and federal taxes. Additionally, “any kind of retirement plan is basically a tax shelter,” Borison said, although some only defer taxes while earning interest until you withdraw the money. Weltman added business ownership to the list of potential tax shelters. If you operate a business, she said, many otherwise personal expenses may become deductible business expenses. Above-the-line deductions are valuable because they don’t phase in or out at certain levels or have other limitations. What makes these types of tax shelters different, Borison said, is they serve a purpose other than simply as tax savings. Home ownership offers a residence and typically makes for a good investment. Charitable donations, retirement funds and college savings plans can help on the tax return, but they have other obvious benefits. Taxpayers looking for a break must avoid seemingly lucrative investment strategies, notes Jerome Borison, who teaches tax law. A poor deal will offer deductions larger than the investment, require confidentiality agreements, or involve investments outside the United States. Any plan intended to simply save money on taxes while serving no other purpose should also raise a red flag. Borison recommends that you seek your own professional opinion regarding a questionable investment plan. For a list of tax scams—including tax shelters—author Barbara Weltman recommends the Internal Revenue Service’s “Dirty Dozen” web page at irs.gov.